Bruxism includes clenching, gnashing or grinding of teeth. When a person does the same while sleeping, then the condition is known as sleep bruxism. Teeth clenching is a painful condition in which the cheek muscles become sore and causes attrition of teeth, headache, and jaw joint problems. One of the common cause of teeth clenching habit is stress. Therefore therapy to help get relief from teeth clenching habit focuses on stress management. Biofeedback and cognitive behavioral therapy are two suggested techniques for stress management. Stress management in combination with other strategies such as sleep hygiene, mouth guards, and exercise can help reduce the frequency and severity of this habit. Good sleep hygiene forms a significant component in the treatment of teeth clenching habit. Good sleep hygiene refers to quitting or restricting consumption of alcohol, caffeine, and smoking before going to bed. You shouldn’t indulge in any physical and mental activity before going to bed and ensure that your room is quiet and dark. Television, mobile phones can be detrimental to sleep quality. Alcohol and caffeine consumption are known risk factor which causes clenching of teeth during sleep. Exercise releases endorphins and is an effective way of reducing stress. 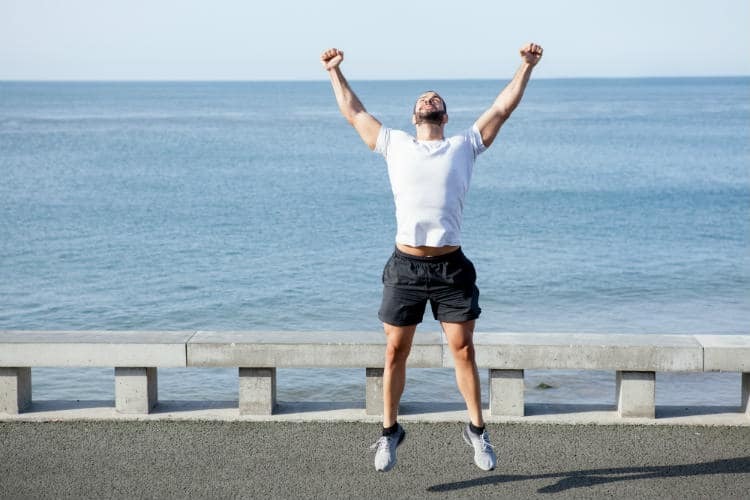 Exercise can lower your stress levels and help reduce teeth clenching episodes. You should include 30 minutes to 60 minutes of activity in your daily routine. Behavioral therapy can help in the reversal of daytime bruxism habit. If the habit of teeth clenching becomes deep-rooted, then psychological counseling along with behavioral therapy can help break the habit. If your teeth clenching habit is related to stress, then meditation can help you relieve stress and manage anxiety. Exercising jaw exercises can help relieve some of the stiffness of the jaw along with warm compress on the region. You can also visit a chiropractor to help you with jaw exercises. Magnesium deficiency causes irritation, anxiety, and insomnia. Including a regular dose of magnesium can help reduce teeth clenching activity. Magnesium also reduces migraine attacks and muscle cramps. Our adrenal glands affect stress responses, and vitamin C is essential in making dopamine. Dopamine regulates our mood and helps prevent illness. So intake if vitamin C can complement stress management therapy. Vitamin B deficiency can cause psychological stress, anxiety, and depression. Vitamin B complex is known to demonstrate good health and wellness. Taking vitamin supplements can help you deal with anxiety issues and stress. Valerian root has been used as a natural sedative for centuries now. Valerian root has anti-anxiety qualities and improves the quality of sleep plus zero side effects. Teeth clenching is a sleep-related disorder hence valerian root can come in handy. Mouthguards are also known as occlusal splint and night guard. Dentists advise occlusal splints to prevent the grinding noise and attrition of teeth due to teeth clenching habit. Occlusal splint covers the entire maxillary and mandibular arch. An occlusal splint may interfere with respiration in people with obstructive sleep apnea which is a rare complication of using an occlusal splint. Injecting Botox into the masseter muscles helps in the relaxation of the muscles. Botox reduces the amplitude of teeth clenching episodes while you are asleep thus decreasing the pain. Effect of botox injection wears off in about six months, and the pain and symptoms return. Also, if the injected dose is less than the recommended dose, the patient will complain of pain within a few days of receiving the injection. Improper administration of Botox injection can cause paralysis of the risorius muscle leading to an asymmetric smile. Your dentist may suggest muscle relaxants for a short period. Do not use muscle relaxants for prolonged periods to avoid drug dependency or damage to internal organs. There are has been limited research on drugs which help with teeth clenching habit. Therefore, these drugs should be used with caution. If the side effects outweigh the positives of the drug, then it is better to avoid the particular drug. For someone who suffers from both a migraine and teeth clenching habit, drug by the name Amitriptyline may be helpful for them. Clonidine helps in reducing teeth clenching episodes but has side effects such as morning hypotension, dry mouth, and REM sleep suppression. 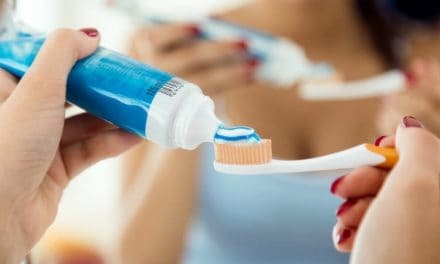 Some medication such as second-generation anti-depressants and antipsychotics exacerbate teeth clenching in people taking them. If you want to take any prescription drug, then you must discuss the advantages and disadvantages of the drug with both your dentist and physician. There is less evidence as to how much effective medicines or supplements are and need more research to establish their actual efficacy. With the limited amount of evidence available, you can try out a prescription drug under the guidance of a physician to see if it works for you. Teeth clenching doesn’t have a permanent cure in majority cases. You can only reduce the symptoms by using a custom-made night guard, strengthening the jaw by doing jaw exercises and employing pain management measures. 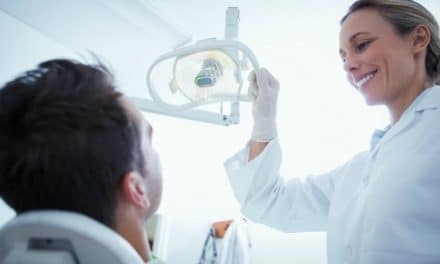 PreviousWhen Do You Need a Deep Dental Cleaning? NextWhen Do You Need to Undergo Gum Surgery? Post-Nasal Drip and Bad Breath – How They Relate?